The man behind SpyGuysandGals talks to Spybrary! 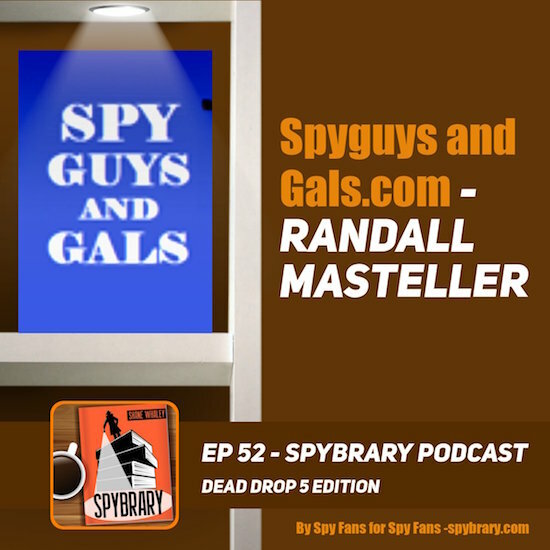 – Dead Drop 5 book choices to appear soon, Go listen to the show and then come back and check out Randall Masteller’s selection. Our good friend Mike Ripley, author of Kiss Kiss Bang Bang – The Boom in British Thrillers from Casino Royale to The Eagle has Landed claims that Randall has probably read more spy books than anyone else on the planet and we are inclined to agree. On this episode of the Spybrary Spy Podcast, Randall selects his five favourite spy novels. This episode is a must listen for spy fans! What do you think of Randall’s selection? 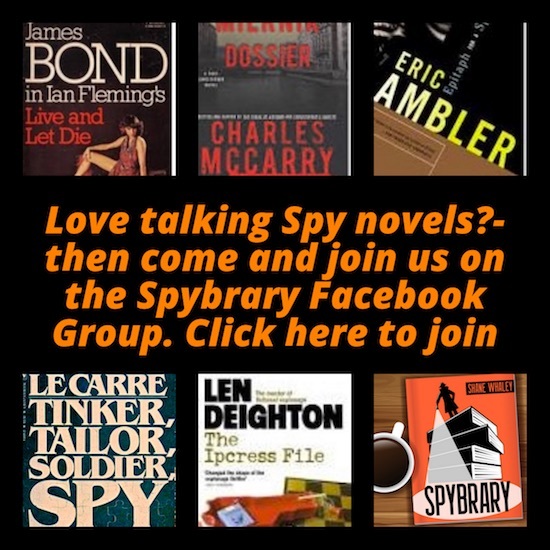 Come and join in the discussion our Spybrary Listeners Facebook Group with other spy book fans! Oh, Shane! The Calder and Behrens stories are wonderful. Randall is absolutely correct. The dog he mentions belongs, iirc, to Mr. Calder, and is a Persian deerhound named Rasselas. So worth seeking out. Such a relatively small output, you’ll wish there were more.